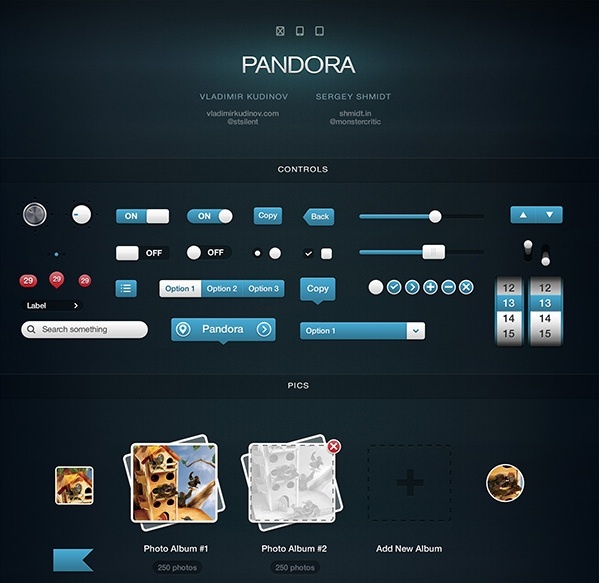 Pandora is an UI set dedicated for mobile interface designers, especially those targeting iOS devices (iPhone and iPad, including iPhone 5, the new iPad and iPad mini, of both normal and Retina screens). The source files are made with vector shapes, so you can scale them as you wish. Included in the pack there are six PSD style pages – basic, orange, wood, leather, cloth and knit. A light version of the basic set is available for free.